At present, there is a variety of formalisms for modeling and analyzing the communication behavior of components. 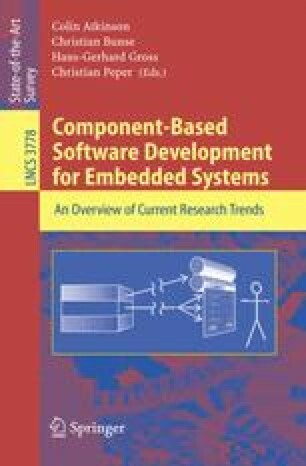 Due to a tremendous increase in size and complexity of embedded systems accompanied by shorter time to market cycles and cost reduction, so called behavioral type systems become more and more important. This chapter presents an overview and a taxonomy of behavioral types. The intentions of this taxonomy are to provide a guidance for software engineers and to form the basis for future research.